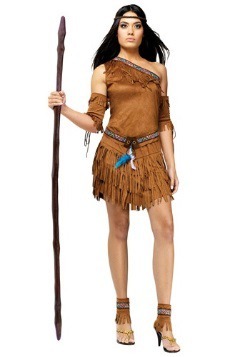 This costume was inspired by traditional Native American garb! It reminds us of a time long ago, something we can only read about in books or see in the movies. A time back before the wild west, before the settlers came. A time when America was inhabited by only the Native Americans, who ruled all the land between themselves. It sounds like such a peaceful life. Waking up each morning and stepping out into nature which is at your front door. You could roam through the woods and head down to the stream to clean up, watching and listening for wildlife. By night, you'd be sitting around a campfire getting ready to go to bed. It sounds like such a great way to spend a day, we wish we could have tried it ourselves! 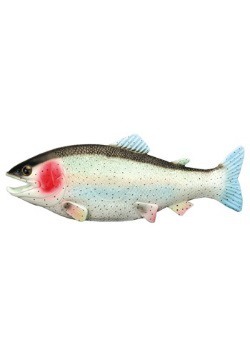 Of course, we don't have the skillset to survive out in nature, so it's probably best that we don't try it now. 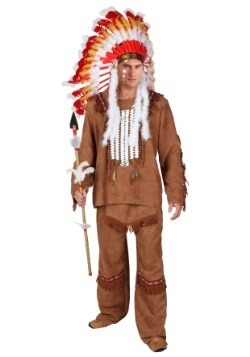 This costume was inspired by traditional Native American clothing. The primary piece is the dress. 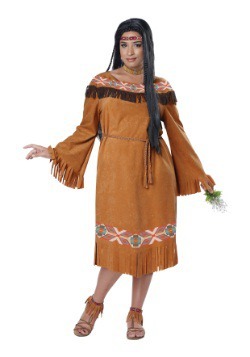 The dress is made of polyester fleece and has a fringed jagged hemline and fringed three-quarter sleeves. 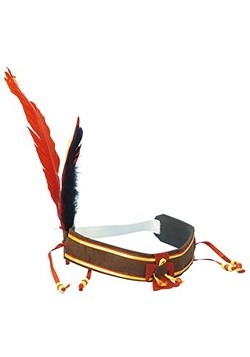 We've also included the belt, seen in the picture, to help bring this costume together. The boot tops are worn over your shoes and help them to fit with the costume seamlessly. Lastly, we've included the headband. 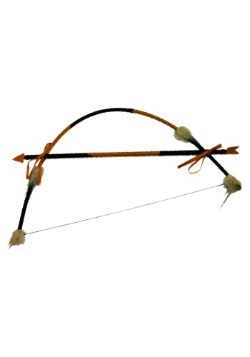 The headband is tied in place and you insert the feather yourself. 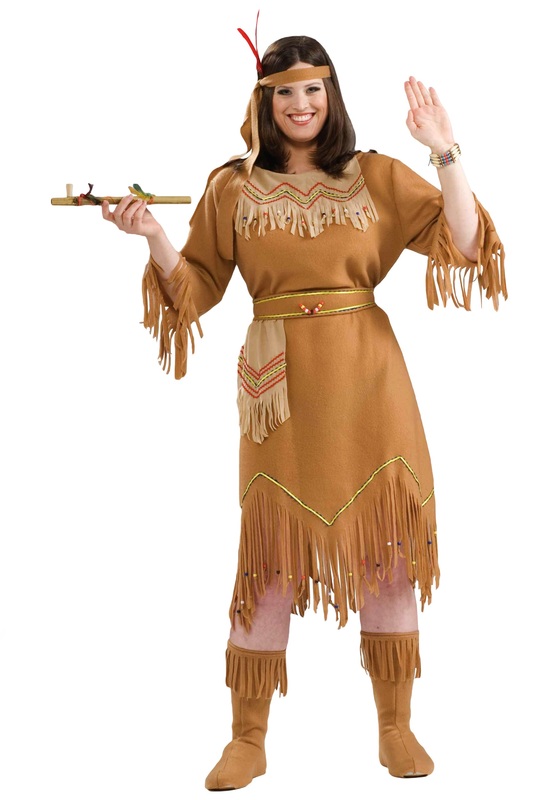 This costume might have you wishing you could experience the Native American way of life! Whatever your purpose for this costume, we hope it serves you well. The feeling of faux buckskin clothing will have you reminiscing about a time long before our own, a time when clothing like this was commonplace across America. We hope you find yourself inspired! Plus Size - $34.99 2X - $34.99 Only 9 left!